November 8th, 2016 saw Donald Trump win the most divisive presidential election for decades. Yet the focus of many cannabis activists was not so much on 1600 Pennsylvania Avenue as on an address almost 3,000 miles further west: 1526 H St in Sacramento, official residence of the Governor of California. California was one of four states which voted to legalise cannabis that day. With due respect to Maine, Massachusetts and Nevada, 1 The issue was put to the electorates of five states in all: Arizona voted not to legalise. the Golden State – the sixth largest economy in the world – was the battleground for campaigners on both sides of the issue. ‘If there’s one thing we agree on with legalisation advocates, it’s that California is important,’ said Kevin Sabet, head of the anti-cannabis group Smart Approaches to Marijuana (SAM). 2 Los Angeles Times, August 2016. The repercussions of the vote will be immense. This win for the legalisers ‘could tip the balance in favour of legalisation on the federal level and usher in a social revolution across America that the Woodstock generation could only dream of.’ 3 The Times, leading article, August 2016. ‘Once California legalises marijuana, I think the rest of the country is going to follow,’ says Congressman Eric Swalwell. 4 San Jose Mercury News, July 2016. Had the legalisation campaign lost, however, any national groundswell towards widespread legalisation would have been stopped in its tracks. Before the vote, Aaron Smith of the National Cannabis Industry Association (NCIA) had said: ‘If we don’t win California and at least half of the other states in play right now, the public narrative around our industry will dramatically change for the worse and for quite some time, setting us back a decade or more.’ 5 San Francisco Chronicle, June 2016. 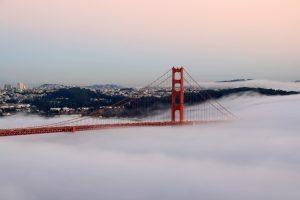 California has therefore followed where states such as Colorado have already been: 6 Prior to the November 2016 election, Cannabis is was already legal in four US states – Alaska, Colorado, Oregon and Washington – as well as Washington, D.C. cannabis has been legally regulated there since 2013, and the state now has more retail cannabis stores (424) than it does outlets of Starbucks (322) or McDonald’s (202). 7 Figures from Rocky Mountain High Intensity Drug Trafficking Area (RMHIDTA) 2016 report and correct as at January 2016. "Marijuana legalisation in the Rocky Mountain state appears a distinct improvement on the costly morass of prohibition"
In general, legalisation in Colorado has been a success. 53% of Colorado residents think legalisation has been a good thing overall, with 39% considering it bad. 8 Survey carried out by Quinnipiac University in November 2015. Cannabis-related crimes account for less than 1% of all crime recorded in The United States. Both teenage consumption of cannabis and cannabis-related crime in the state capital Denver has fallen, with cannabis-related crimes now accounting for less than 1% of all crime recorded in Denver. 9 Denver Post, February 2016 The burgeoning cannabis industry has created both jobs and tax revenues ($70m of the latter in 2015). The city of Aurora takes $4.5m of that tax revenue, much of which it redistributes to programmes such as the Colfax Community Network which helps low-income families to live in motels, apartments and provides food, clothing, hygiene products and nappies. ‘Marijuana legalisation in the Rocky Mountain state appears a distinct improvement on the costly morass of prohibition. Britain should pay close attention.’ 10 The Times, August 2016, ibid. What Colorado and California have done reflect a wider paradigm shift: a recognition that the ‘war on drugs’ that has been fought for close to half a century has failed. It has failed to prevent people using drugs. It has failed to prevent people manufacturing drugs. It has failed to prevent crime, corruption and death on an industrial scale. The old prohibitionist model, enshrined and entrenched in three separate UN treaties (1961, 1971 and 1988) and incorporated into the domestic laws of more than 150 countries, is crumbling. The United Nations Office on Drugs and Crime (UNODC) has acknowledged the ‘growing recognition that treatment and rehabilitation of illicit drug users are more effective than punishment.’ 11 World Drug Report, 2012. Now more than 90 countries have at least begun to introduce harm reduction policies alongside those aimed at enforcement and punishment. Some of these countries have had such policies in place for many years now: within the EU alone, for example, the Netherlands has effectively decriminalised cannabis since 1976 and Portugal since 2001. But decriminalisation is not enough. Legalisation and regulation are what is needed, so it is three countries – Canada, Germany and Uruguay – which are of particular interest in the context of this report. All three are currently feeling their way towards full or partial legalisation, and their cases will give immediate and relevant pointers as to what kind of future a cannabis-legal UK could anticipate. "Decriminalise it, you continue to have organised crime controlling marijuana"
Now that Barack Obama is leaving office, Canadian Prime Minister Justin Trudeau is committed to changing Canadian laws on cannabis and has pledged to begin legislation by spring 2017, though he’s aware that his country’s large and solid bedrock of conservative citizens (a) prefer a slow and steady approach rather than a zealous headlong rush, and (b) place great emphasis on personal safety. Hence his focus on strict regulation. ‘The reason why legalising marijuana is the right step for us, is because of two things. One, it will make it harder for young people to access marijuana, because whatever you say about marijuana compared to alcohol or cigarettes, we know that the impact on the developing brain is something we need to prevent. Right now, young people have easy access. Controlling and regulating it will make it more difficult for them. Two, we need to remove the criminal element – street gangs, the organised crime – from the sale of marijuana. Regulating it and controlling it will do that. Decriminalising does absolutely nothing on either of those two things. If you decriminalise it, you make it easier for kids to access it. Decriminalise it, you continue to have organised crime controlling marijuana. That is counter to why we want to do it. That is why decriminalisation has never been interesting to us.” 13 Interview, August 2016. He has also emphasised that ‘pot is still illegal in this country and will be until we bring in a strong regulatory framework.’ 14 Interview, Vancouver News 1130, March 2016. Trudeau is a smart enough operator to know that the scale of what he faces is enormous. He will have to navigate waters which are not just uncharted but treacherous, teeming with stakeholders – politicians, lawmakers, citizens, consumers, healthcare, businesses – whose competing desires and demands he must somehow fashion into a working and workable compromise. He has no pre-existing template to work from. This is not taking a country back to a previous legal status, as it was in the US with the repeal of Prohibition (itself famously enshrined in a constitutional amendment which overrode one of its predecessors). It will probably take him two or three years at least, perhaps longer, to move from blank slate to completed legislation. If the eyes of British cannabis campaigners and advisers are not on Trudeau during this process, they should be. 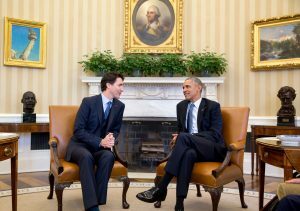 For all our attachment to the ‘special relationship’ with America and for all our geographical, historical, commercial and social links with Europe, we’ve always had more in common with the Canadians than perhaps we realise. What Trudeau can and cannot manage will give us lots of pointers, if only we are aware enough to see them for what they are. "legalisation for private pleasure is not the aim and purpose of this [legislation]. It is intended for medical use only"
Germany is on the brink of fully legalising cannabis for medical purposes, including the treatment of cancer, glaucoma, HIV-related illnesses, Hepatitis C, neuralgia, Parkinson’s and other serious conditions, having had extremely limited access for a small number of specifically exempted people since 2009. Cannabis used for such purposes will in certain circumstances be covered by public health insurance and available on prescription from pharmacies. The road to even this limited reform has been a long and winding one, and driven far more by activist groups such as Schildower Kreis and Deutscher Hanf Verband than by politicians. Interestingly, given the way in which many public issues are crystallised in a single incident or image, the case of Michael Fischer was a prime mover in the shift towards medical legalisation. Fischer is a multiple sclerosis sufferer who in April 2016, after a decade of legal battles, finally won the right to cultivate his own cannabis for medicinal purposes. Although his victory was only a personal one, it paved the way and provided a precedent for similar court cases, which in turn has helped persuade the government to bow to the inevitable. Since it will take time for Germany to grow enough cannabis of its own to meet the needs of this new market, three Canadian companies – Tilray, Tweed and Canopy Growth – have signed deals to supply cannabis in the interim. This in itself is testament to the growing internationalisation of the cannabis industry, which will be explored more fully in Chapter Six. However, full legalisation remains some way off. Marlene Mortler, Germany’s federal drug commissioner, maintains that ‘legalisation for private pleasure is not the aim and purpose of this [legislation]. It is intended for medical use only.’ 15 CNN, May 2016. This is consistent with Chancellor Angela Merkel’s long-held position on cannabis. ‘Through legalisation the threshold for obtaining cannabis would be lowered even further, and we hold – yes – the negative side effects of cannabis are so dangerous that one should not do this. After all, there are two million people who consume cannabis in this country and that is already much too much. Thus in my opinion, we should not legalise cannabis in general.’ 16 YouTube video, 2011, as part of the Direktzu programme allowing public questions to the Chancellor’s office. As we will see in Chapter Seven, Chancellor Merkel’s position is very much akin to that of Prime Minister Theresa May. But both women must also know that in politics, the thin end of the wedge is sometimes all that is needed to prise open the door. Take a step, demonstrate that it works, press for the next step, and so on. Perhaps medicinal legalisation will prove a useful first step on the road to full legalisation in both countries. (Colorado legalised medical cannabis between 2008 and 2013 before expanding the licence across the board). Indeed, in the same week as California voted to regulate adult use of cannabis, the coalition of parties that govern Berlin announced plans to pilot a programme of “controlled distribution of cannabis to adults”. 17 Deusche Welle, November 2016. A sign that as the whole of Germany moves towards medical access, further reforms are already underway at a local level. Perhaps a British version of Michael Fischer, someone in unimaginable pain who seeks only an alleviation of their agony and does so with articulacy and stoic humour, may help crystallise the emotional side of the cannabis argument as well as the intellectual one. "We are providing evidence for something that doesn’t yet exist"
Uruguay was the first country to fully legalise the sale and production of cannabis, which they did in December 2013. The move demonstrated the power of a concerted middle-class movement, as it was such consumers who ran a decade-long campaign to persuade the government of the benefits of legalisation. Through pharmacies at a set price of around a dollar per gram. However, there is a fourth way, and it’s the same as it’s always been – the black market. That’s because progress to a fully-realised and regulated market has been and continues to be slow. Uruguay is aware that everyone is watching to see how this great social experiment plays out, and there are at least as many people wanting it to fail as are rooting for it to succeed. ‘We are doing something completely new for our country and the entire world,’ says Milton Romani Gerner, secretary-general of Uruguay’s National Drug Board. ‘It’s up to our model to overcome prohibitionist attitudes from various agencies and institutions, and general mentalities, that do not accept change.’ 18 Interview with Foreign Policy, March 2016. Former president José Mujica, the architect of the law, repeatedly emphasised the need for caution. ‘We are not just going to say, ‘hands off and let the market take care of it,’ because if the market is in charge, it is going to seek to sell the greatest possible amount.’ 19 Interview with AFP, July 2014. Mujica also emphasised that this was a paternalistic attitude a long way from American-style notions of freedom and personal choice. “If I have to take a drug in order to be free, I’m screwed. You can’t buy freedom in little jars. That’s a brutal dependency. If I’m dependent, I’m not free.’ The law’s main intention, he adds, was always to seize the market from illegal drug dealers, not encourage people to smoke weed. This sense of caution has inadvertently led to logistical logjams. The process for registering pharmacies has been so laborious that not a single one has yet opened, even though they were always intended to be the chosen route to market for the majority of smokers. So many points have still to be agreed, such as price controls, safety measures, precise legal obligations and so on. Every question seems to beget several more. And the new president, Tabaré Vázquez, is much less of a risk-taker than Mujica was. For the time being, therefore, Uruguay remains stuck in limbo, halfway between the old failed South American prohibitionist policies and a brave new world of a vibrant, successful cannabis economy. Both its successes and its failures provide lessons for other countries. “We are providing evidence for something that doesn’t yet exist,’ Romani said. ‘But in our favour we have the painful and overwhelming evidence of prohibitionist policies being the total failure of an absurd war.’ 20 Foreign Policy, March 2016, ibid. From these examples, it’s clear that the tide effect is both underway and unstoppable, even if its progress will be anything but linear. The important thing is that it is happening, and the more it happens the more it will continue to happen. As Mike Power, author of Drugs Unlimited, said: ‘from British Columbia to Berlin, from Oregon to Montevideo, you can sense a distinct whiff of change that is more pungent than protest, and headier than the most abstract theory. We are witnessing a radical, global reboot of cannabis regulation whose potency and novelty is mirrored perfectly by its accompanying industrial and cultural revolution.’ 21 Mike Power, The Green Screen, volteface.me, July 2016.